Adam said he was "pissed off" that contestants waited until elimination night to give it their all. Adam Levine and Cee Lo Green tossed safety lines to two "Voice" singers Tuesday night, allowing four others to fall out of competition. Katrina Parker and Cheesa were saved; Kim Yarbrough, Karla Davis, Erin Martin and Tony Vincent were not. All six were sentenced to compete in Tuesday night's elimination round after receiving fewer votes than the others who performed the night before. They each sang one song to win the favor and mercy of their coaches who, according to the rules of the game, were permitted to save one of their team-members from elimination. Adam voted to keep Katrina Parker, who won the unanimous support of other "Voice" coaches following her do-or-die performance of No Doubt's "Don't Speak." Her win pushed soulful singer Kim Yarbrough and coffeehouse vocalist Karla Davis out of the race. 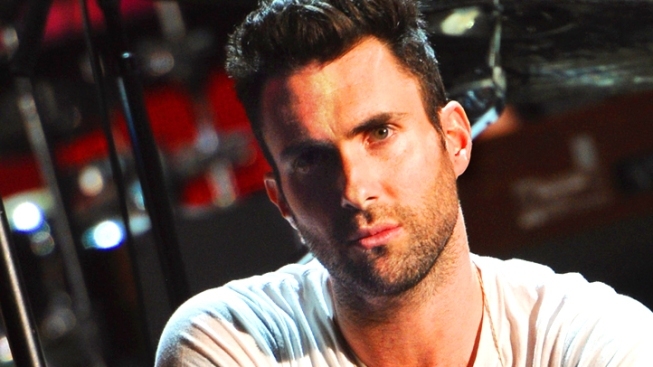 Adam Levine chats about "The Voice" finalists. What is he most "excited" and "impressed" by about the singers on his team? Plus, what inspired his new short haircut? And, what will he be doing when he guest stars on "American Horror Story"? The voting, which put the fate of these three into Adam's hands, was fair. Kim Yarbrough's "Rolling in the Deep" performance Monday night was met with uncomfortable faces from the judge's chairs. Not because she didn't sing it well, but because it's hard to outsing Adele. Karla Davis—who, to be fair, just started singing a few years ago—sounded breathy and amatuer. Her assigned song, "Airplanes" included a rap section that was blatantly beyond her comfort zone. Their elimination performances were better, but Parker's superior power, style and potential was apparent to each of the judges. Cee Lo was forced to choose between Erin Martin, Tony Vincent and Cheesa—a tougher decision than Adam had to make. They too performed better than they did last night or last week, leaving the coaches somewhat frustrated. "I'm a little pissed off right now," Adam said. "Why did it take this long to sing like it's your last chance?" Blake Shelton admitted that for the first time Tony Vincent, the theatrical, over-the-top Broadway man, finally won him over and that for the first time, he was able to appreciate Erin Martin's unique Macy Gray-style. Christina Aguilera was also offering praise to each contestant when host Carson Daly hurried her to name which one of the three performed best. And after similar hemming and hawing, Cee Lo named the artist he would save from elimination.